Robert E. Hoyt is the Dudley L. Moore, Jr. Chair and Professor of Risk Management and Insurance in the Terry College of Business at the University of Georgia. He teaches corporate risk management and enterprise risk management and has served as the Department Head for Insurance, Legal Studies, and Real Estate for 16 years. He was Interim Dean of the Terry College in 2007 and has been on the UGA faculty since 1988. Dr. Hoyt holds a degree in actuarial science from the University of Nebraska and M.A. and Ph.D. degrees in risk and insurance from the Wharton School of the University of Pennsylvania where he was an S.S. Huebner Fellow. He was a Fulbright Visiting Professor of Risk Management at the Vienna University of Economics and Business Administration, a Swiss Re Visiting Research Scholar at the University of Munich, and a Gen Re Visiting Scholar at the University of Cologne. His research interests are focused in the areas of corporate hedging, enterprise risk management, catastrophe risk management, insurer operations, economics of insurance fraud, and insurer insolvency. His research has appeared in various scholarly journals and business publications. He serves on the board of a property-casualty insurer, on the board of a captive insurer, and was Chair of the Board of Athens Regional Medical Center. 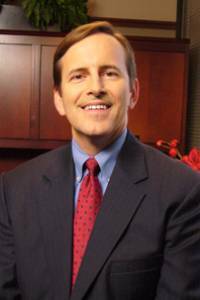 Dr. Hoyt is Past President of the American Risk and Insurance Association, Past President of the Risk Theory Society, Past President of the Southern Risk and Insurance Association, and a Vice President of the International Insurance Society.